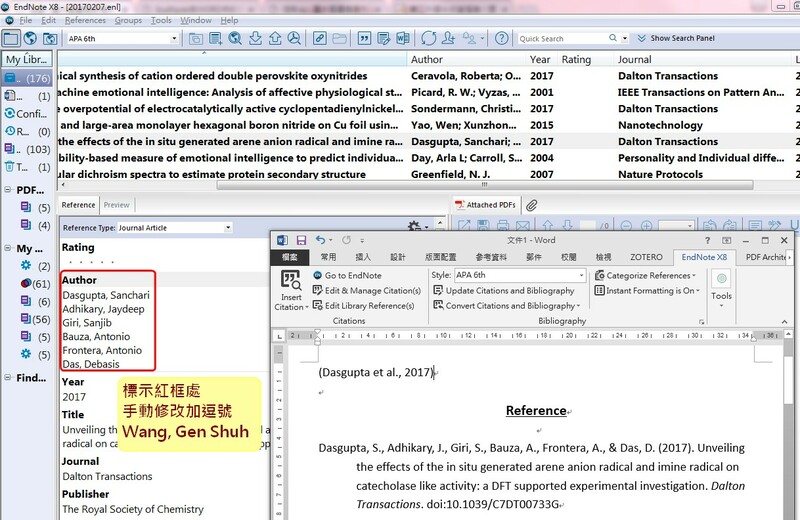 This entry was posted in EndNote, 搭配Word_(CWYW、Output Style) and tagged Ambiguous Citations, Anonymous Works, Author Lists, Author Name, Caption, Composite Citation, consecutive citations, Editor Lists, Editor Name, EndNote, et al, Field Substitutions, Figures & Tables, Grouped References, Ibid, Insert Field, Journal Names, Layout, Numbering, output style, Page Number, Placement, Punctuation, Repeated Citations, Sections, Sort Order, Style Manager, Templates, Title Capitalization, 中文參考文獻格式, 中文引用格式, 中英文參考文獻格式, 中英文引用格式. Bookmark the permalink. HALL, S. 1996. Who Needs ‘Identity’? In: HALL, S. & DU GAY, P. (eds.) Questions of cultural identity. London, Thousands Oaks, New Delhi: Sage Publications. 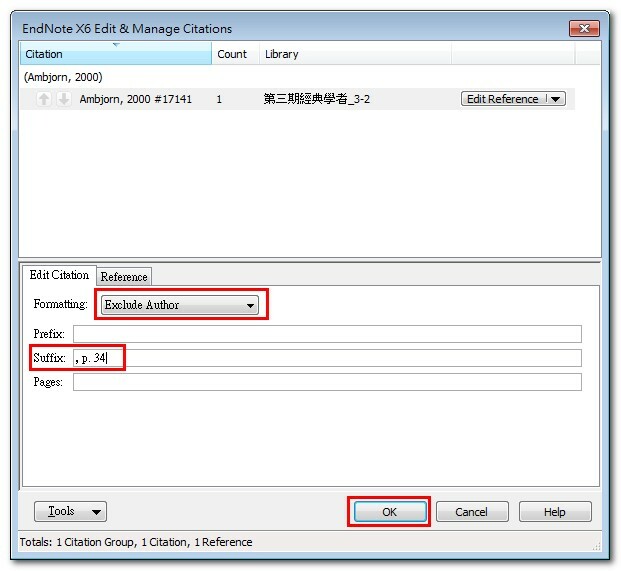 我嘗試在 Bibliography裡的Templates裡的edited book項目下面：Editor (ed).^(eds.) Year. 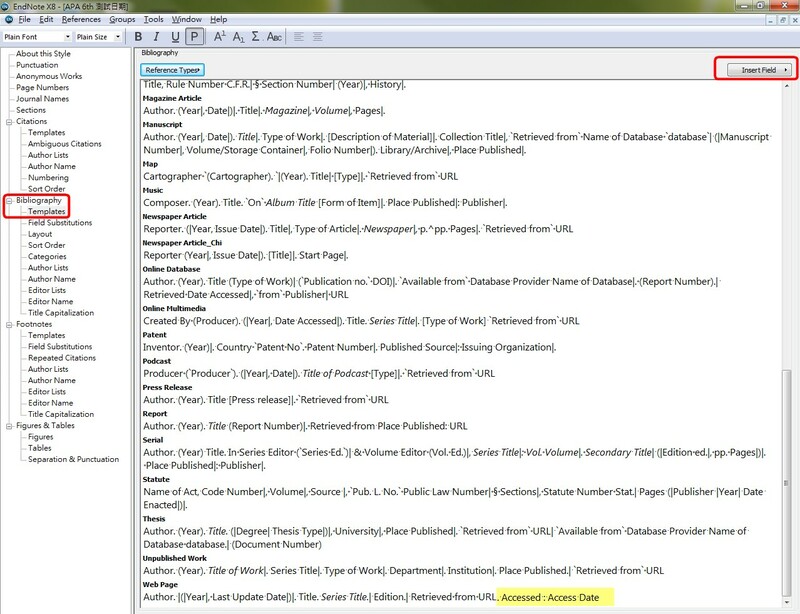 Title, Place Published|: Publisher|. Editor ed.^eds. Year. Title, Place Published|: Publisher|. 1. Vosen S, Schmidt T. A Monthly Consumption Indicator For Germany Based On Internet Search Query Data. Applied Economics Letters. 2012;19(7):683-687. The reports have indicated that the Trihalomethanes in drinking water will enhance the cancer risks of bladder and result in reproductive defects (Gen Shuh Wang et al., 2007).